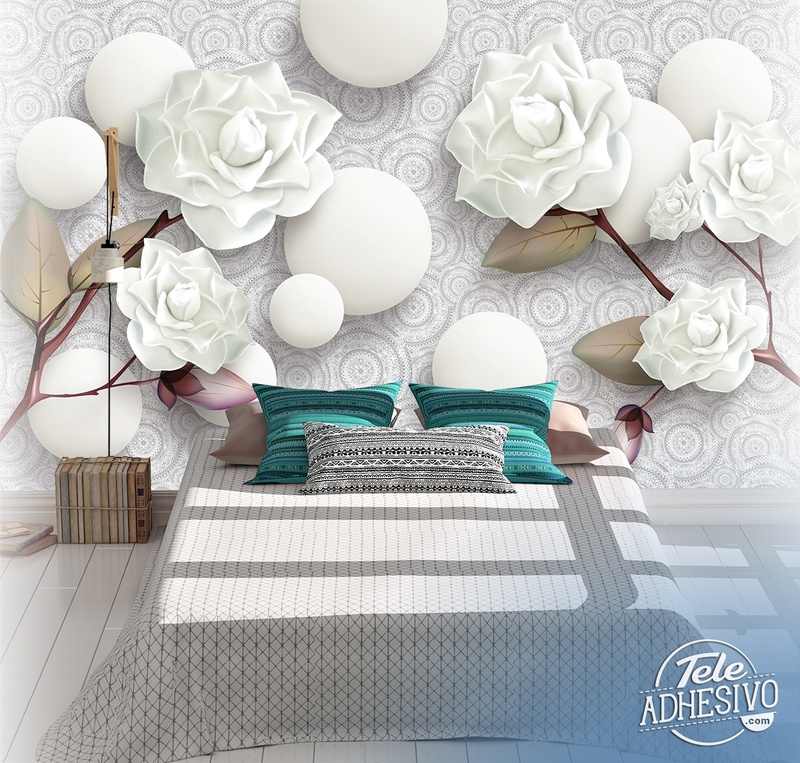 Wall mural White roses and stones. 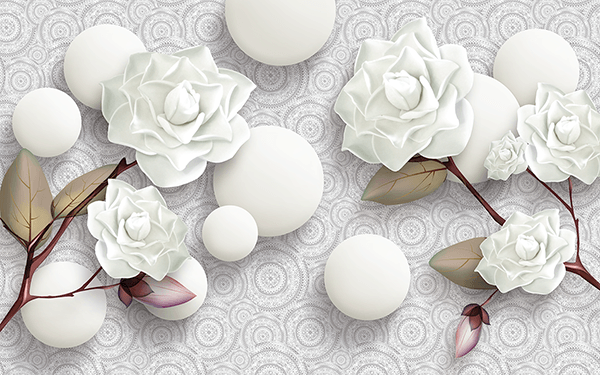 Digital composition of several branches of white roses with circular stones on a stamped background. Fabulous image, it is abstract aesthetics, to decorate a wall of the bedroom or the room of rest with a different style and with personality.